Fat skis, parabolic, rocker, twin tips . 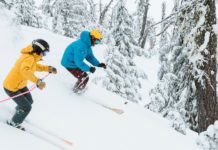 . . if the number of different models of skis on the market is daunting for buyers, the following article demystifies ski types. Skis have come a long way from the skinny, cambered race models that required a fair amount of skill to turn. Today’s skis are suited to every imaginable skiing discipline, style and ability. 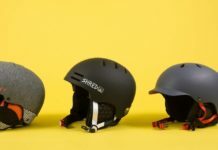 Ski technology that led to parabolic, shaped and rockered skis makes skiing easier especially for weekend warriors or occasional skiers who have the opportunity to hit the slopes only a couple weeks of the ski season. Fat skis are also known as freeride, off-piste, big mountain or powder skis. In Chamonix, France where free-riding is becoming de rigueur skis require a waist of more than 88mm to be considered fat. Fatter skis generally have more flotation. They sit on top of powder snow or crud (chopped up snow off the beaten trails) and the wide shovel (ski tip) makes them easier to pivot. E.g. Fischer Watea 114 (Sidecut: 146-114-128). 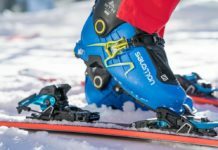 Is ski performance on descent the priority, comfort skinning uphill or a compromise between the two? Fat skis that perform well in powder or soft conditions tend to be heavy. 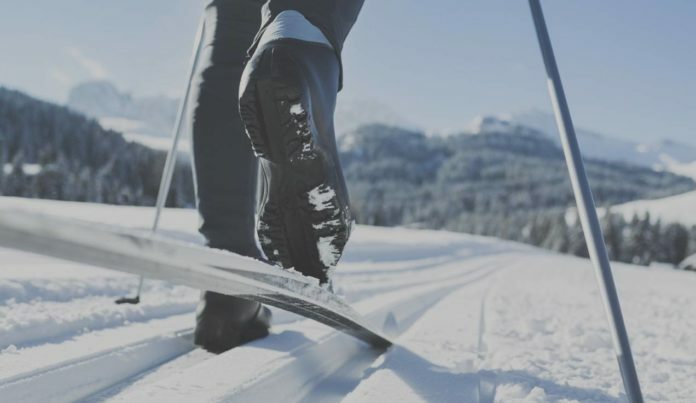 Skis that are too light weight tend to be soft and unstable at high speed. 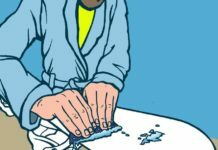 The best skis for ski touring depends on what is expected of ski performance relative to the issue of weight. Traveling uphill with skis underfoot in ski touring mode (known as skinning) is hard work with heavy skis. 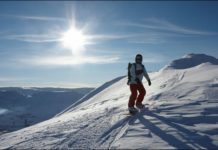 Most ski brands have a range of ski touring specific skis that are made of lighter materials yet are strong on the edge and dependable in challenging conditions. e.g. K2 Backup (Sidecut: 125-82-110). In a rockered ski design the tips and tails are turned up like a water ski. 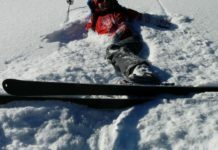 Shovel rocker improves the agility of big skis by enabling them to initiate quickly, and easily adjust turn shape while floating on the surface of deep snow. A full rocker ski means that the camber or bend in the skis is such that when put together base to base the middle of the skis touch. This is the opposite of traditional skis which are bowed in the middle. e.g. K2 Hellbent (Sidecut: 150-122-141). Twin tip skis i.e. skis that curve up in the tip and the tail allow the rider to land or take off switch (backwards). 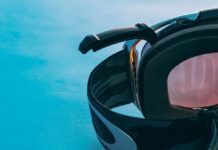 One of the fastest growing ski disciplines can be described as new-school, jibbing or park riding.This free-spirited snow sport involves sliding rails and various other obstacles, as well as jumping and performing tricks. 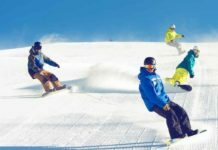 Terrain parks are being developed in ski resorts around the world. Many ski manufacturers build park-specific skis, designed to hold up to the abuse of terrain park skiing. Few people unless they are professional skiers or those who work in the industry have a quiver of skis for every mood or snow condition. For those skiers seeking a ski that is smooth on the piste and performs in the backcountry look for an all mountain ski. Classic fat skis with a stiff flex ski similarly to traditional giant slalom skis, are a little slower onto the edge but ski smoothly on the piste and make versatile all mountain skis e.g. the Volkl Mantra (Sidecut: 133-96-116).